According to Greek mythology Pandora was sent down to earth upon the orders of Zeus. She was given a mysterious box which she was not allowed to open. However, Pandora was very curious and when she arrived on earth she couldn't help taking a peek inside the box. She saw that it was filled with gifts and calamities and to her astonishment they all escaped and spread throughout humanity, with all the dire consequences thereof. Only hope was left at the bottom. Figuratively speaking, Pandora's box today represents a source of much suffering. 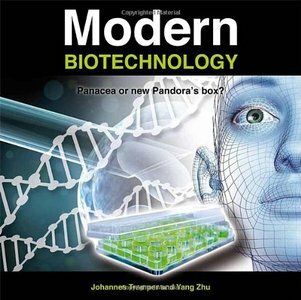 Is modern biotechnology just such a Pandora's box, as the anti-biotechnology lobby would have us believe? Or can we selectively release the gifts and turn this new Pandora's box into a Panacea? Modern biotechnology makes use of the recombinant DNA technology to genetically modify microorganisms, plants and animals in order to make them more suitable for all kinds of applications, such as cultivating food crops, baking bread, making wine, antibiotics and hormones, xenotransplantation, and gene- and stem cell therapy. The book also particularly addresses the controversial aspects of these applications.